The building blocks of better thinkers. 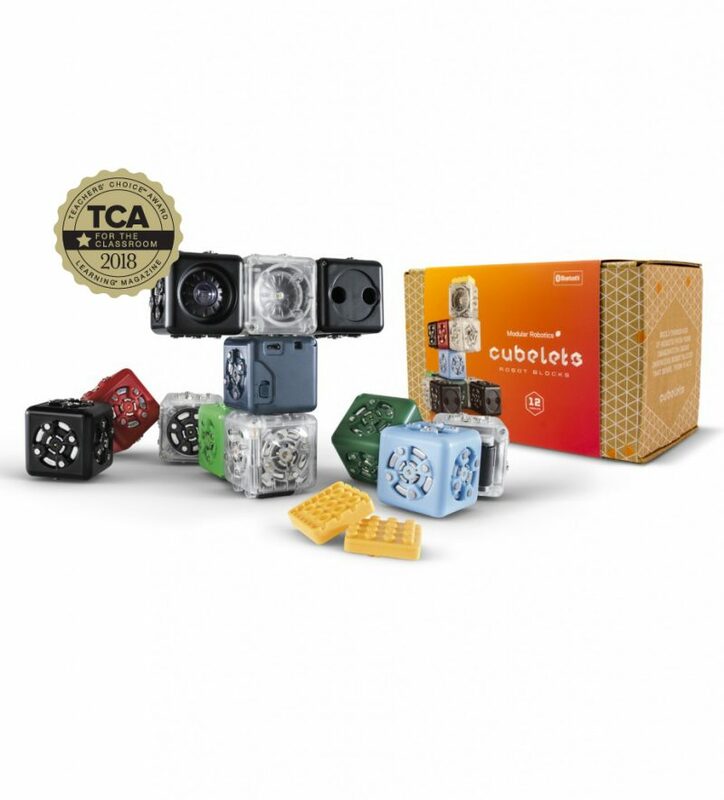 The Cubelets TWELVE is the best way to introduce children of all ages to robotics, coding, and design thinking. Cubelets are an expandable system of robot blocks, and the TWELVE the best mix of SENSE, THINK and ACT blocks for novice and experienced builders. Reprogram or control your robots when paired with the included Bluetooth® Cubelet. Use the included Brick Adapters to connect Cubelets with Lego®. Cubelets TWELVE includes 12 robot blocks and two Brick Adapters. 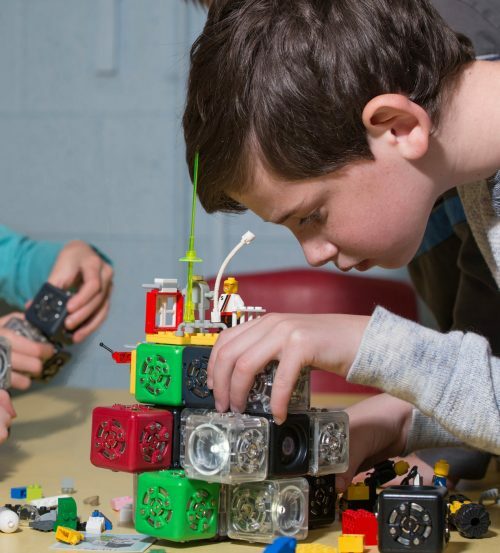 Cubelets are perfect for builders young and old and are designed for curious creators ages 4+. Cubelets are the world’s first robot blocks! Uniquely designed, individual blocks are robots that snap together with magnets, teaming up to create thousands of novel robot constructions, each with new behaviors. Harnessing students’ natural curiosity, Cubelets captivate all ages* and scale to all skill levels. 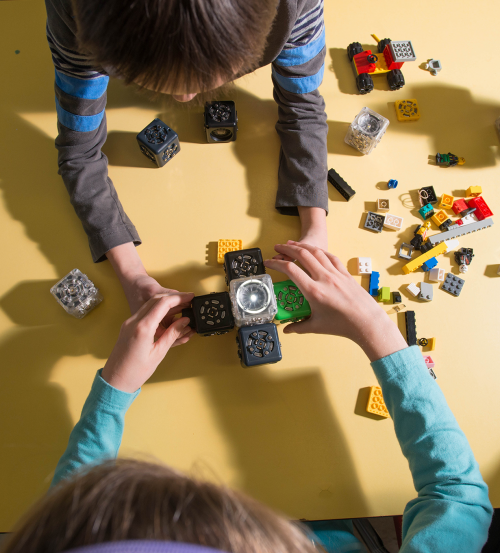 Engaging and intuitive, Cubelets are an ideal point of entry into computational thinking. 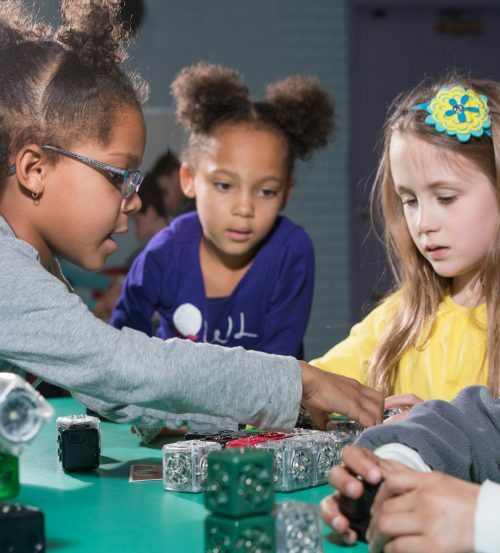 Students can design and redesign robot constructions with ease, using the robot blocks to model real-world behaviors and to launch students into a new world of creativity and critical thinking. It’s easy to see which STEM concepts students grasp when they build with Cubelets, taking the guesswork out of student assessment. To make things even simpler, we provide progress-monitoring trackers, assessment ideas, and more! Cubelets are a perfect tool for collaboration and teamwork. Students naturally communicate with each other as they share their Cubelets designs. 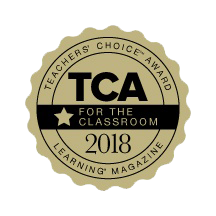 Plus, Cubelets model many different behaviors, making them easy to connect with any subject area and established curricula. 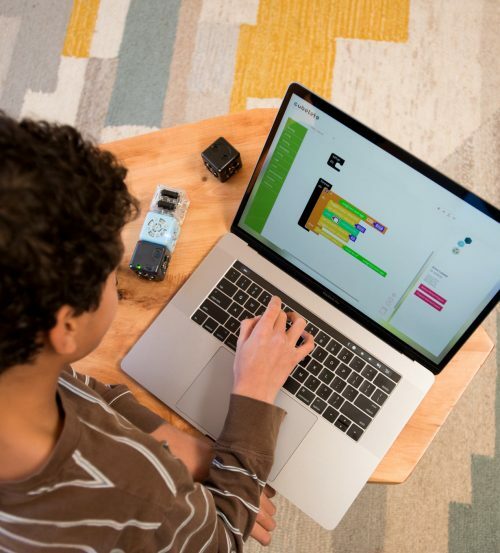 Cubelets teach the principles of coding right out of the box — no screens necessary. Students learn the basics of programming logic and troubleshooting as they build robot constructions, all without having to learn a single line of code. As they advance, they can apply these computational thinking skills to traditional programming, in Blockly or C, with Cubelets.